1. What is Tomatis based sound therapy? A Tomatis based program is usually 30 days, spread out over about 4 months, and includes both passive and active segments. In the passive phase, the client listens to the music of Mozart and Gregorian Chant through special headsets, with equipment that filters and gates the music. The music exercises and tones the ear, while bone conduction helps balance the sound we take in through our bones. The active part of the program includes work with the voice. 2. Is there scientific proof that this method works? Yes, there is a lot of research that has been done on the subject by Tomatis himself and others. 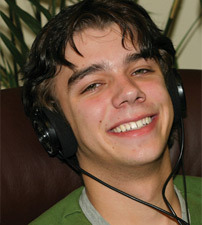 www.integratedlistening.com has extensive research information. For further inquiry you can visit www.advancedbrain.com. 3. What is the success rate of Children & Adults who undertake the Dynamic Listening Systems Therapy? Per Dr. Ron Minson, over 90% of all who undertake the DLS Therapy report significant improvement and/or remediation of their primary concern. 4. What is considered 'success' in this therapeutic context? Dr. Ron Minson's experience is that 'success' is that the presenting or underlying problem has been resolved or remediated. For example, if a child has a reading problem, but the reading problem is due to an auditory processing problem, we will have resolved the auditory piece and he/she is likely reading better. Yet, there may be gaps in the child's reading and vocabulary skills due to being behind in comparison to his/her peers. In the case of inattention, the child will attend. In depression the depression is resolved and the person is asymptomatic. These changes are often life changing. Many cases have been referred to Dynamic Listening Systems after being in speech or occupational therapy for 3 to 4 years with minimal improvement. One can imagine the joy to finally make significant and profound gains within 3 to 4 weeks. 5. What resources do you suggest to further understand sound and movement as tools for improving the ear-brain connection?